I have heard all the bad jokes, or maybe they were just from the misinformed, but no, cattle guards are not folks hired to watch over the cow herd. Anyway… There is not a whole lot of history I could find on cattle guards, but I did manage to find that the early concept of cattle guards in the U.S. was to keep cattle off railroad right-of-ways, but still allowing traffic to pass. 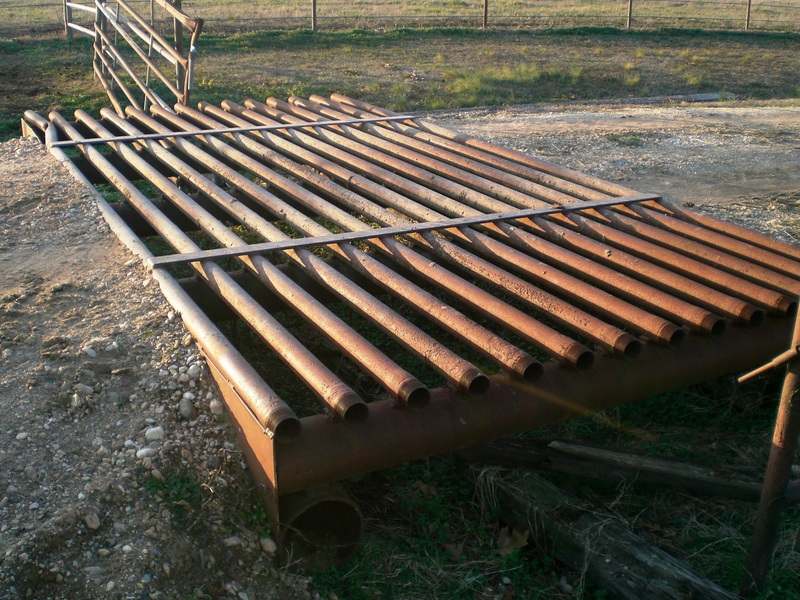 Many cattle guards are found in open-range areas or roads through public lands today. It’s really cool to be driving along the highway, cross a cattle guard on a fence line, then next thing ya know there’s a herd of cattle in your path. I know one family probably didn’t know what to think while we were driving a herd of heifers down a highway in Wyoming. Ahh, Wyoming. Probably one of the best places on earth. Since I grew up 50 miles from the border, and have spent a great deal of time there, do you think I can claim it? Yeah, probably not. But, it’s an amazing place none the less. If that’s the case, then can I claim Wyoming because I lived there in the mountains for a summer?